Happy Tuesday folks. It’s election results day here in the US, but to keep you distracted until the nerve-wracking results come in, I’ve got a great guest post for you! In this article, I talk about why getting reviews on Amazon should be your first book marketing priority. While organic reviews will come slowly but surely, I believe that it’s an indie author’s job to help readers to understand the importance of reviews – and encourage them to write them. It is your responsibility to actively solicit them in an ethical way. But reviews on Amazon.com and other similar retail sites aren’t the only kind of review you can get for your books. Other kinds of review can work well to get the word out about your book, and to convince other readers that your book is worth reading. Social proof is a very powerful thing – just think about the restaurants you have visited or films you have seen based on a friend’s recommendation! 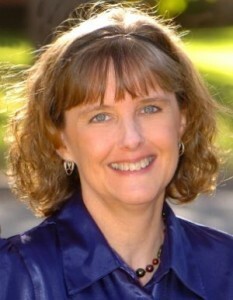 In this guest post, Dana Lynn Smith, author of How to get Your Book Reviewed, shares 7 ways to get your books reviewed. If you learn something new, why not leave a comment? Endorsements are recommendations solicited from subject experts, authors, celebrities and other well-known people prior to publication, and they are often used on the book cover and interior and in promotional materials. A customer review is a little longer than a testimonial and focuses more on the content of the book, rather than just recommending it. Tip: be sure to encourage customers to provide testimonials and reviews and make it easy for them. Thousands of blogs post book reviews on a regular basis. Book bloggers range from individuals who post reviews of the books that they read, to larger sites that accept review copies and have multiple reviewers. Most book blogs focus on fiction or books for children and young adults. Research book review blogs to determine the type of books featured, the estimated size of the audience, and the submission requirements. Opportunities abound for reviews of nonfiction books in blogs and publications that are geared to the topic of the book or aimed at the book’s target audience. In addition to seeking book reviews, nonfiction authors can also offer to provide articles for blogs and publications. Book blogs, topical blogs, podcasts and online radio shows are potential hosts for virtual book tours, where authors visit a different site each day promoting their book. On a virtual book tour it’s a good idea to vary the content, asking some of the tour hosts to do a book review, while providing others with guest posts, interviews, or videos. You can also do book giveaways on some or all of the tour stops. Keep an eye out for other opportunities to get reviews and testimonials. For example, you can offer review copies on reader networks like Goodreads and LibraryThing. Always ask people who send you a nice note about your book if they would be willing to post their comments on sites like Amazon or Goodreads. It’s best to begin seeking reviews prior to publication, but there are still plenty of opportunities for books that have been out for a while. Put together a plan to harness the power of book reviews to sell more books! To learn more about using reviews to sell more copies of your book, see How to Get Your Book Reviewed, by Dana Lynn Smith and learn how to do your own virtual book tour in her Virtual Book Tour Magic guidebook. 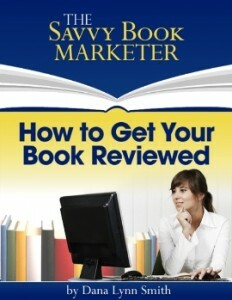 Get more book marketing tips on The Savvy Book Marketer blog.